Your eyes are often called the "windows to the soul," but when your eyelid skin starts drooping or bags under the eyes enlarge, your windows can become blurred and hard to see into. Sagging lids or puffy bags can also age your face, making you seem older or more tired than you actually are. Adam J. Scheiner, M.D., of The Aesthetic Center at Tampa Eye Clinic can help restore a more youthful, alert and healthy look to your droopy eyes. Sometimes referred to as a "mini facelift," blepharoplasty has become one of the most popular cosmetic procedures for both men and women because of its high level of patient satisfaction. Although a blepharoplasty will help improve the most of the appearance of the eyelids, many people also have puffy skin on the cheekbone just beneath the eyelid. This is called a "festoon" or "malar mound". A blepharoplasty or face-lift will not correct it. After a lower eyelid blepharoplasty, the festoons can actually look worse and be more noticeable. Once the fullness of the lower eyelid is removed above the festoon, the festoon is highlighted and tends to become more obvious. Festoons or malar mounds are a very difficult cosmetic problem to solve. In rare case, festoons can be large enough to block a persons lower visual field. The most common complaint about festoons occurs after a lower eyelid blepharoplasty has been done to remove bags from the lower lids. Patients often feel that the lower eyelid and the accompanying festoons look worse and become aware of their festoons for the first time. Options to treat festoons include extensive incisional procedures with less than optimal results, direct excision of the festoons with unacceptable scars, and medical therapy with marginal results. If you are thinking about facial or eyelid rejuvenation, it’s important to examine yourself and look for the signs of festoons or malar mounds. If they are present, Dr. Scheiner can help you. The application of his technique is usually performed in conjunction with lower eyelid surgical rejuvenation and leads to a more natural and complete rejuvenation of this expressive part of the face. 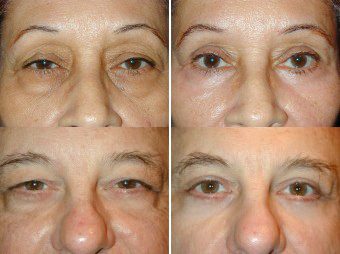 Blepharoplasty can be performed on both the upper and lower eyelids as seen in the before and after pictures below. The most effective way to “open” your eyes is to conservatively remove the fat and excess skin, which is causing your sagging or puffiness. Blepharoplasty can be done alone or in conjunction with other facial surgery procedures such as a Minimal-Incision Brow Lift or Laser Skin Resurfacing. Laser eyelid surgery is used to make the eyelids appear more youthful and dynamic by reducing or removing puffy or sagging skin around the eyes. You can have either the upper or lower eyelids done together or separately. However, most patients find they get more dramatic results and a more symmetrical appearance if both areas are done at the same time. This out-patient procedure is performed with local anesthesia in about one hour by Dr. Scheiner in our surgery center, which is located directly behind the Tampa Eye Clinic. You are allowed to return home immediately following surgery. Laser eyelid surgery is replacing the standard method of incision using traditional surgical techniques. Dr. Scheiner uses a laser beam to make a small incision, sometimes from inside the eyelid. Lasereyelid surgeryactually cauterizes (seals) blood vessels with less bruising, bleeding, discoloration, swelling, and a quicker recovery than conventional eyelid surgery. The fatty deposits are removed and the incisions are closed using tiny sutures. The sutures are removed in about 10 days. At the time of your Laser Blepharoplasty, you can also choose to have Laser Skin Resurfacing of your lower eyelids at the time of your surgery to erase wrinkles from many years of sun damage and improve the appearance of malar mound or festoons. Following the surgery, your post-operative pain should be minimal. Since the laser seals off blood vessels and nerve endings, you should experience much less post-operative discomfort or bruising. You can use Tylenol to minimize any discomfort. You can expect your eyelids to be puffy and swollen for several days following surgery. Cold compresses used for the first 48 hours can help minimize swelling. After 7-10 days the fine stitches will be removed. Your normal activities can usually be resumed in just 3 to 7 days. The resulting scars are very fine and hidden in the natural crease of the upper eyelids. Many lower eyelid surgeries do not require any visible scars at all. After eyelid surgery, our patients have a more youthful and awake look to their faces. Many seem to have a new spring in their step after facing their fresher reflections in the mirror. Laser eyelid surgery cannot eliminate wrinkles or crow's feet or eyelid festoons on its own. Other procedures such as Laser Skin Resurfacing and BOTOX Cosmetic injections can be used in conjunction to address wrinkles, crow's feet, and festoons. Many patients find using these procedures in combination with eyelid surgery produce to provide even greater facial rejuvenation. 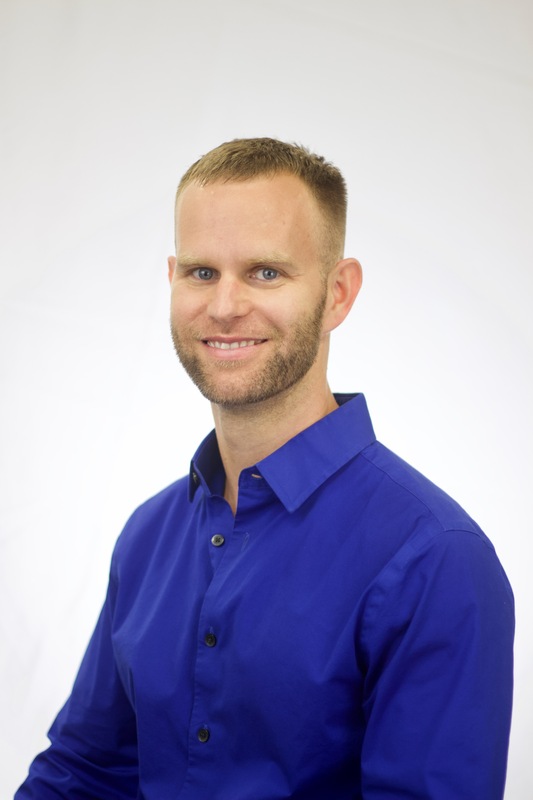 Dr. Scheiner’s goal is to create a better version of you! If you are considering eyelid or one of our other cosmetic surgeries, please call 813-367-1915. We would be happy to address all of your concerns. Some procedures may be covered by insurance. If you have questions about what is covered by your private healthcare insurance, contact your plan provider. If you don't want to pay for your procedure all at once, you can take advantage of one of our affordable financing options and you can apply for financing online.